On reading this piece, one can be forgiven for thinking that Allister Sparks fell down a rabbit hole and landed up in a distorted parallel Middle East, not unlike Lewis Carol’s Alice. His adventure began in the terrorist wonderland of Damascus which is now home to more than 10 internationally outlawed groups. So spellbound was Allister Sparks, by this ‘venerable’ city (portraying it as a historical model of inter-religious co-existence) that he missed the fact that today it is controlled by one of the most oppressive regimes on earth. After some pleasant sightseeing, Allister Sparks met with Musa Abu Marzouk, deputy chairman of Hamas’ Damascus Politburo. Sparks’ describes Musa Abu Marzouk as a ‘softly spoken intellectual with a warm manner and a sharp mind’. So taken was Mr Sparks with Musa Abu Marzouk’s ‘polished urbanity’ that he likened him to a young Thabo Mbeki during his exile in London. Mr Sparks’ demented imagination also allows him to transform Hamas, a fanatical Islamist terrorist organisation, into a secular liberal national liberation movement. He makes much of superficial things like Musa Abu Marzouk’s well spoken English and Phd from an American university to downplay his radical Islamist credentials. Mr Spark’s experienced journalistic eye observed that in the Hamas headquarters ‘there were none of the flowing white dishdash that are ubiquitious in the Middle East. Marzouk wore a black suit while everyone else was dressed causally.’ Thus concludes Mr Sparks that ‘Palestinians are the most secular of the Arab peoples’. Nevertheless, Mr Sparks’ greatest distortion of Middle Eastern reality is his portrayal of Hamas as a pragmatic Palestinian peace partner. He depicts Hamas’ proposal of a total Israeli withdrawal to the 1967 armistice line in exchange for a temporary truce (not peace) in their struggle for all of Palestine as a bold Palestinian concession that could lead to a final settlement of the conflict. He makes no mention of the fact that Hamas since taking office has not made the slightest moderation in their extremist positions. They have both in words and in deeds continuously said no to recognition, no to stopping terrorism and no to adhering to previous agreements. Israeli government officials, on the other hand, have been traveling the world promoting a major Israeli withdrawal from much of the West bank. But all this escapes Mr Sparks. His twisted worldview only allows him to believe what Marzouk explained to him with a sigh that “the Israelis are not responding”. 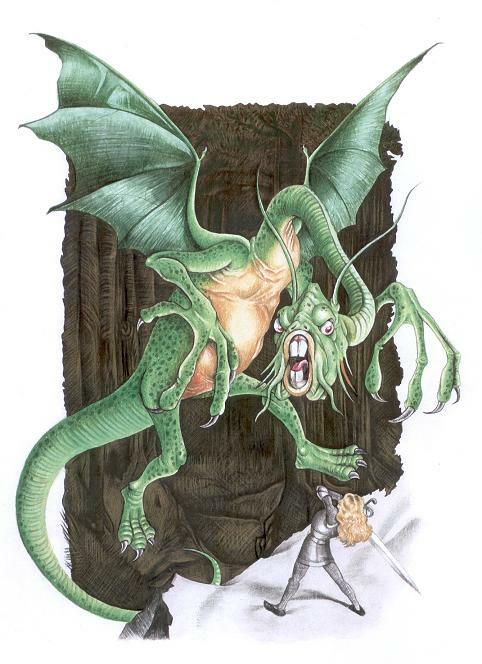 If you step through the looking glass into Mr Spark’s Middle East, you find that Hamas is a Zionist created Jabberwocky. Its racist rhetoric and murderous deeds are mere figments of our imagination. And the best way to slay it is not to defeat it militarily but just to announce that it does not really exist. Unfortunately for us Jews we don’t have the luxury of living in Allister Sparks’ wonderland. the mind(lessness) of Allister Sparks (get the ref?) is not surpassed by any other deranged Lefty anywhere in the world. And that is saying a lot! Although he has millions of fellow pseudoliberal jihad supporting travellers with him every step of the way. Daily Kos is openly dreaming of a world without Israel today. Ah the Left's alliance with the Islamic jihad, will be so much material for future generations of historians and psychologists and sociologists when and if a smidgen of sanity returns (has it ever been there?) to the world - I have long stopped being surprised by it, I just wish they (the so-called Left) would be honest about it and just say it out loud, "we hate you Jews and we hope Iran and Syria and Hamas finish off where the Third Reich left off and wipe you off the planet". At least their Hamas allies and the right-wing neo-Nazis are honest about their Jew-hatred. The Left are worse for their dishonesty, disguising their Jew-hatred as non-racism and human rights. All beyond Kafkaesque, beyond Orwellian doublethink. Words largely fail me. it's important to understand the origins of the anti-Semitism of the Left, otherwise how to fight it? it's complex and I and others can't get to the bottom of it in ten lines, (books and articles on the subject of course but not all understand the roots of the problem here, Foxman gets it all wrong) but a helluva lot of it has to do with the belief that capitalism is a Jewish plot - the Jew as greedy Shylock, also the influence of Soviet era rhetoric on the Western Left or what passes for it, of course the anti-semitism of the old Soviet Union a continuation of the old anti-semitism of Czarist Russia. Also guilt in the Christian world over the Holocaust and other crimes against Jews, desperate to believe the worst about Israel and the best about its enemies so they don't have to feel so bad about the Christian world's crimes against Jewry. They got what they deserved kinda thinking. Everybody identifies with their culture and nation and thus their culture's past is a cause either for pride or shame. Just in case somebody writes what did people born after WW2 have to do with the Holocaust. In other words (among other reasons) anti-semitism persists because of and not inspite of the Shoah. It feeds off its own horrific consequences. Muslim anti-semitism has its own distinct roots of course. yes I know plenty of you know all this. In Jack Bloom’s book, Out of Step, he made an interesting observation. The difference between the neo-Nazi right and the extreme anti-Zionist Left is extremely small. Both believe that the world is controlled by a handful of people who exploit their power to enrich themselves at the expense of everyone else. The left call them corporate capitalists. The Neo-Nazi right just add that these capitalists are Jewish. The Left use the more political acceptable term Zionists. Although I hate all anti-Semites , I hate the leftwing variety far more than the rightwing Neo Nazis because at least the rightwing anti-Semites are honest that they hate Jews and don't sicken us with hypocritical BS that they are not anti-Semitic but only anti-Zionist (Barf...) in other words they only hate Jews who live in Israel and they only enjoy the murder of 'Zionist' children , as if living in Israel makes a Jew fair game for hate and murder. mind you you can only expect that those who supported Mao , Pol Pot , the Old Soviet Union and took the side of evil on every issue would side with Satanic Islamic terrorists. The Marxist Left definitely have a Satanic impulse towards supporting the dark side. It is clear to see that those forces who oppose the modest claims of the Jewish people to a small homeland , are the same forces who oppose democracy and freedom throughout the world. today it takes the form of the battle for the soul of the world between the believers in Judeo-Chrisitan/Western/democratic values on the one side and the hard left/Islamic alliance ,whose ultimate aim is the total destruction of Judeo-Christian and Western civilization , on the other. The recent 'anti-war marches' in the West where organized by the Workers World Party, which supports suicide bombings against Jewish women and children, as well as supporting every brutal dictatorship on this planet. Throughout the world the universities are dominated by these same forces who justify every tyrant regime and terrorist organization as part of the battle against the cardboard bogeys set up by the left : 'colonialism' , 'imperialism' and 'globalization'. Thus they will use the struggle against ‘colonialism’, 'imperialism' and 'globalization’ to justify and encourage the killing of Israeli women and children, and totalitarian brutality in regimes such as Red China, Cuba, Libya , Syria , Zimbabwe , Venezuela etc. It is no wonder that these forces which have no respect for human life will terrorize students on campus who don’t conform to their sick and twisted ideas. Oh , and the counterparts of the Satanic Workers World Party in South Africa are COSATU and the SACP. Does anybody in SA have an address for Sparks? I have his book (here in Canada) that my mom bought me for my birthday in 1990. I'd like to send it back to him with the realization that it's written by an imbecile. Hi! My name's Mat Jones...i drew the Jabberwocky illustration you've posted as part of yr article. Just letting that be known since there was no artist credit anywhere near my illustration. My apologies for the lack of credit. I wish I could even remember where we found the image. It is a wonderful drawing. You must be quite talented. Do you have a link to some other work of yours? How do you handle the murderous deeds of Israel, which are also not figments of our imagination?